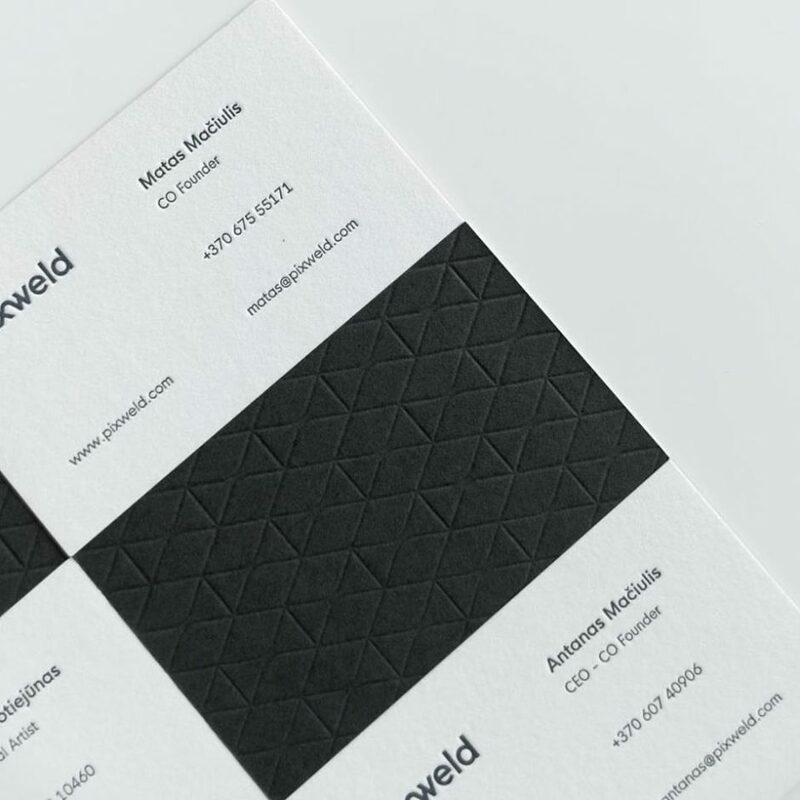 Algirdas Matijosaitis designed these minimalist business cards for Pixweld, a 3D visualization studio based in Lithuania, who’s aiming to redefine what beauty is by delivering pixel perfect evoking results that are more works of art then just pretty looking images. The design inspiration comes from ‘perfection, details and noise’ – inspired by Antanas Maciulis’s (the founder of Pixweld) intentions and point of view towards the world, “What Pixweld does is that it welds one pixel at the time to produce a work of art for their clients. That inspired us to create a whole new brand identity surrounded by perfection and connectivity,” Algirdas said. 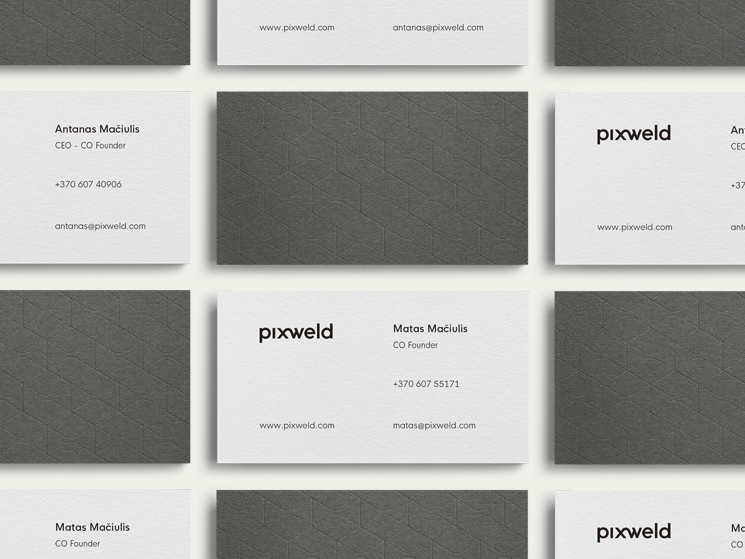 Combining the word ‘Pixel’ and ‘Welding’, you got ‘Pixweld’! On the back of the business card, the signature pattern was designed as a backbone for the brand that holds the best understanding of perfection and structure, highlighting its very own character. The contrasting colours – grey and white – and the geometric typeface were chosen to highlight the idea of simplicity and clarity, while keeping the visual identity simple yet memorable. These business cards were printed by Elegante Press using two layers of Colorplan papers: Plike Graphite 330gsm and Plike White 330gsm. The embossing and letterpress printing techniques were applied to the signature pattern and the logotype on the card for a sense of dimension and tactile experience. CardDsgn.com is a daily updated business card gallery, showcasing creative and unique business card design for your daily inspiration. View our business card gallery now or submit your work to get featured!